The Super Bowl has drawn the lowest number of viewers in ten years. 98.2 million people watched the final of American football between the New England Patriots and the Los Angeles Rams last weekend. That was 5% less than last year. The boring match between the Patriots and the Rams did not improve the ratings, experts say. This was the first Super Bowl in history where no touchdown was scored in the first three quarters. 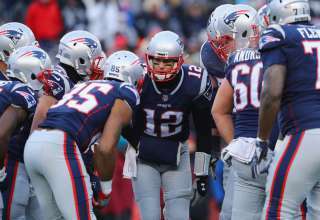 It was not until the last quarter that the Patriots managed to bring the ball over the back line, securing their 13-3 victory. Fans of American football were also a bit bored with the supreme game divider Tom Brady of the Patriots, who already won his sixth Super Bowl. The mediocre performance of the band Maroon 5 during the break of the final also caused viewers to get lost.